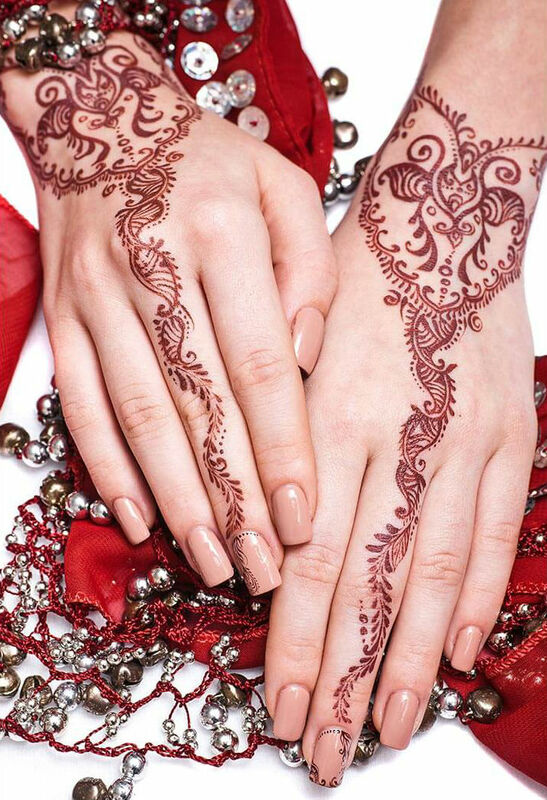 The ancient practice of henna tattoos dates back thousands of years. Some believe it’s as old as Mahabharata itself, a legendary Hindu epic that was written five thousand years ago. 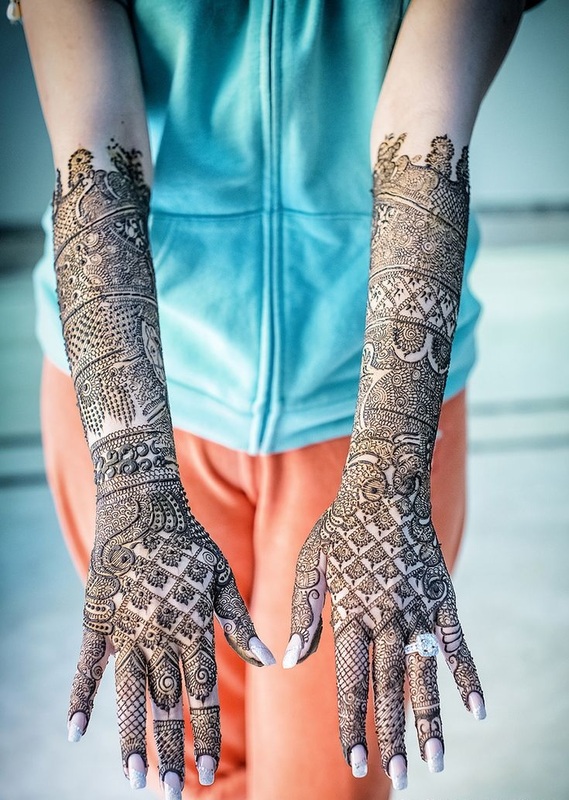 Today henna tattoos, also known as mehndi, are used to express happiness and love in various ceremonies like weddings, blessings, and birthday celebrations. 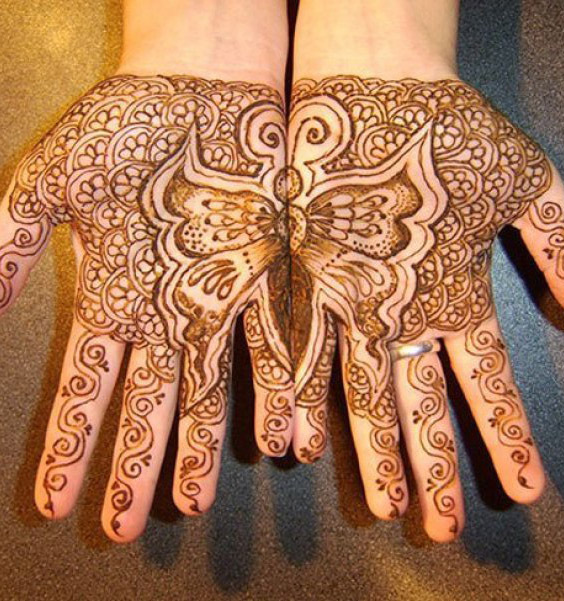 Only mehndi masters know all the secrets of henna tattoo making! But today we present you 11 mehndi design secret meanings you should know. Lotus is a symbol with hundreds of meanings, but it is mostly used to represent purity and the awakening of a soul. It also stands for sensuality, beauty, femininity, and grace. 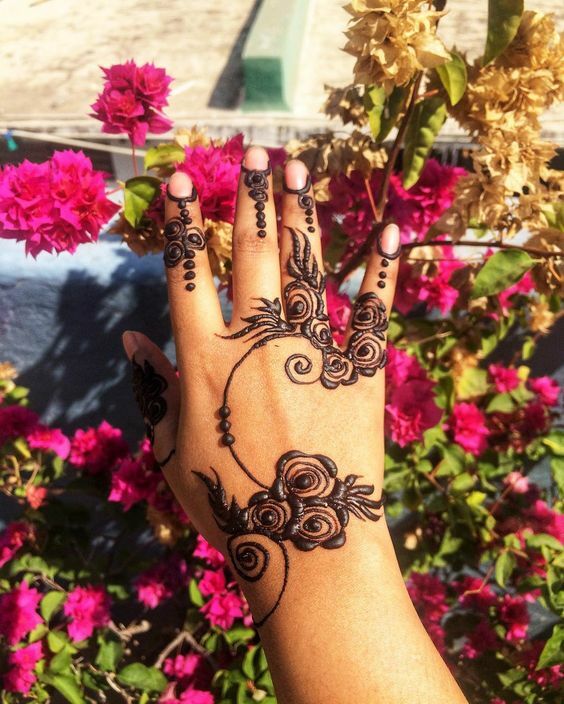 Henna flowers symbolize happiness and utter joy. This is the type of design you will see on the beautiful brides during wedding ceremonies. 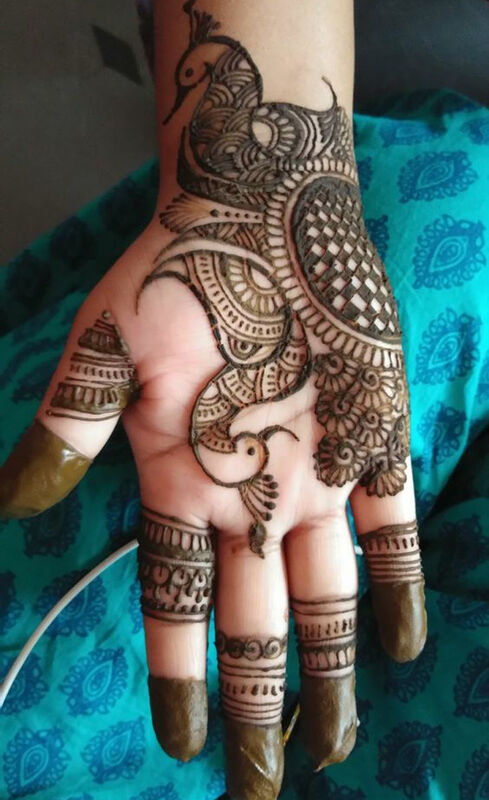 Another popular element for wedding henna design is a gorgeous peacock. This bird is truly exquisite and beautiful, so no wonder its secret meaning is also beauty. 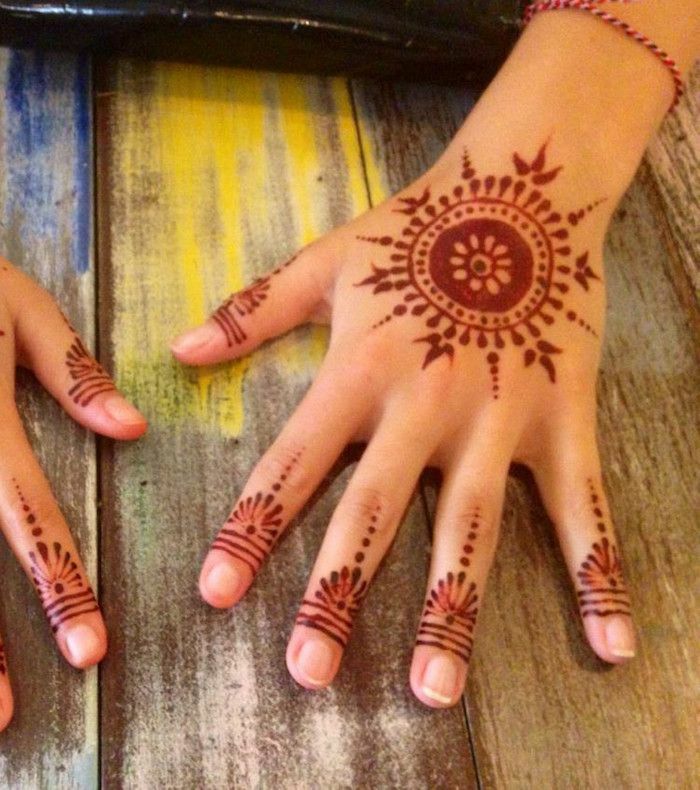 Henna bird designs require a lot of intricacy and careful placement. Birds like sparrows and parrots usually symbolize freedom. 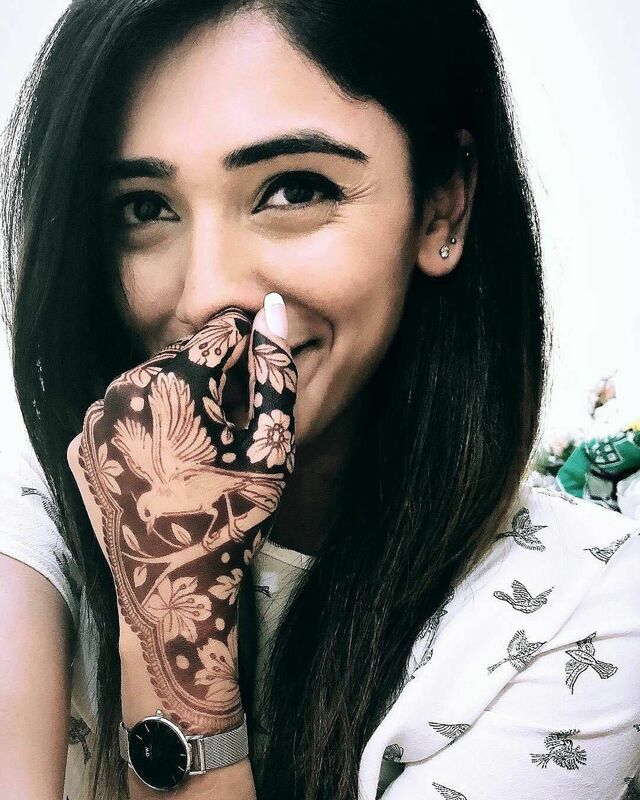 You can see vines and all kinds of creepers on most of mehndi designs. This beautiful leafy element symbolizes longevity, vitality, and strength – qualities that are essential for a relationship to prosper. Butterflies stand for transformation, while dragonflies symbolise rebirth and change. Fish element is not as common as other mehndi designs, nevertheless, you can still see them from time to time. Fish in mehndi reminds of a woman’s eyes, which is exactly what henna fish is used for! Sun (or Surya) is one of the strongest henna tattoo symbols. Being the ultimate source of energy, the sun stands for knowledge, love, and immortality. 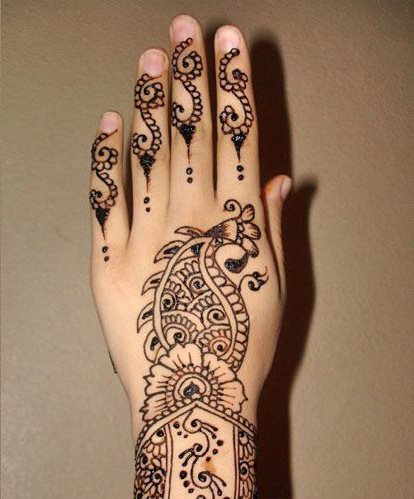 In henna designs water is represented by a flow of playful ripples. It’s a symbol of purification, but it could also mean the everlasting change of one’s emotions. It describes life itself! Moon symbolises love that will last forever, as well as change and protection from evil. 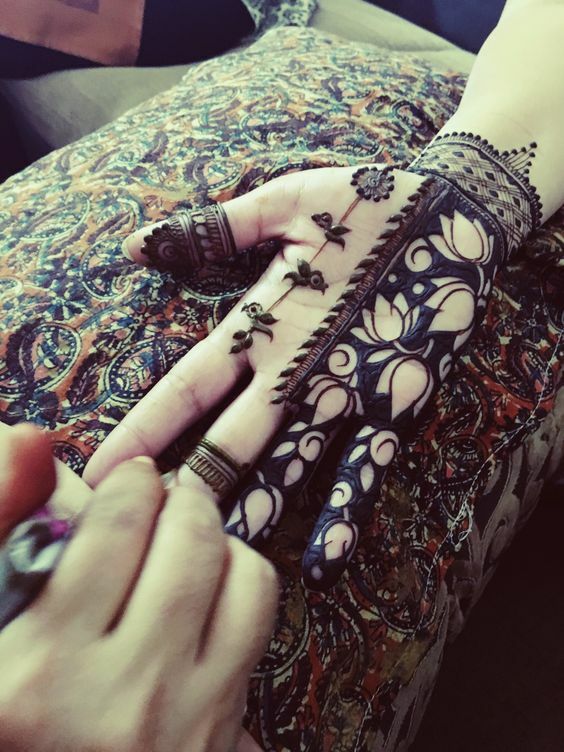 When a baby is due, mehndi masters use the crescent moon design to hint about the event. Mandala is a symbol vastly used in both Hinduism and Buddhism. 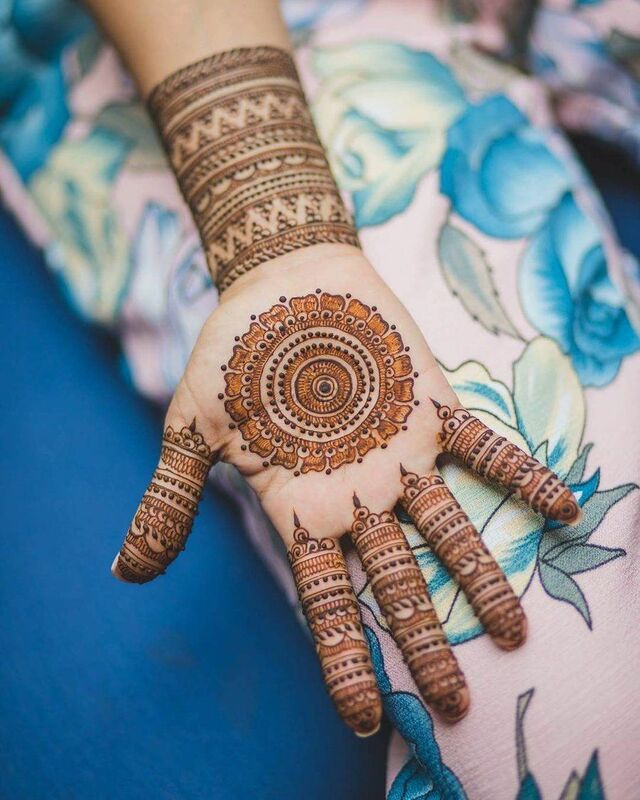 This henna design represents the Universe itself, making it one of the most used elements in mehndi designs.